At Climate Interactive, we create tools that help political leaders and decision-makers make smart decisions in the face of a change climate. 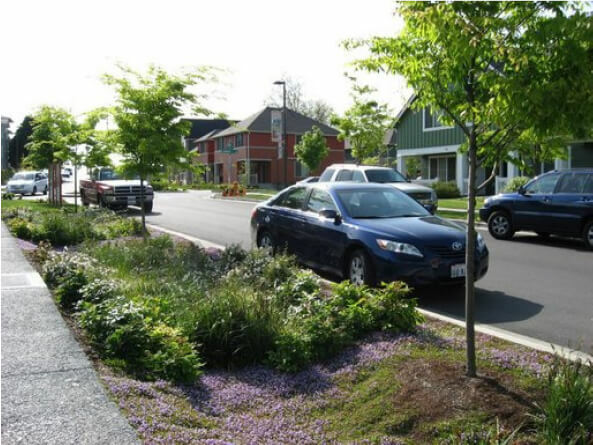 While many of our tools take a global perspective, our Green Infrastructure Decision Support Tool is designed to help municipalities and communities test scenarios and see the solutions that best deliver storm water management, financial savings, good jobs, beautiful neighborhoods and resilience to extreme weather. The Green Infrastructure Decision Support Tool, currently in development in Milwaukee, is a partnership between Climate Interactive and the Milwaukee Metropolitan Sewerage District, with support from the Surdna Foundation. Recently, Beth Sawin talked with the Surdna Foundation about the tool and how it will provide real, tangible benefits to communities throughout the country. As development moves forward, the Green Infrastructure Decision Support Tool will be transferred to use in other communities. “We hope to partner with a few other cities to build on the expertise in Milwaukee and to add new parameters to the tool to represent different places.” Read the full interview and learn more about the Green Infrastructure Decision Support Tool.